2018 is going to be an exciting new era in my sewing adventure and I am SO excited! I have partnered with Husqvarna Viking® and will be creating with the amazing Husqvarna Viking Designer Jade 35® sewing machine (check it out here). 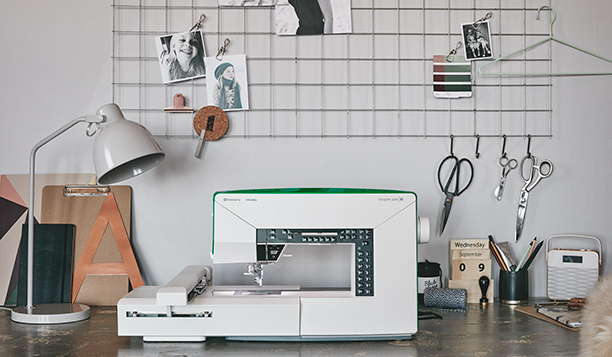 As someone who has always used a vintage sewing machine, this is a whole new and exciting world of sewing! There is so much to learn with this machine, and I've only had it for a day, but it is SO easy to use. Seriously, the buttons just make sense! We all know my sewing space isn't this cool! 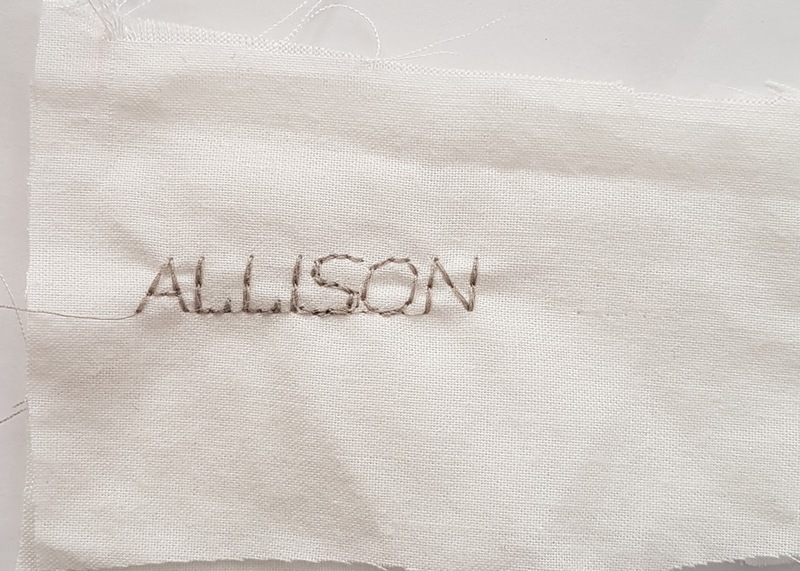 Naturally, the first thing I did with the machine (after a couple of straight lines of sewing...it does the most perfect "fix" stitch at the start and end AND cuts the threads with the touch of a button!!!) was stitch out my name. I cannot stress how easy it was to program in my name and then just press the start button! Done! I'm not the only one who would do this, right?! The Designer Jade 35 also does embroidery. I've not yet explored that feature, but if the ease of the sewing machine is anything to go by it will be a breeze to use. My mind is racing with all the dressmaking projects I can add embroidery to...the possibilities are endless. And clothing with embroidery is so on trend right now that I'm feeling very cool! So stay tuned for lots of exciting new projects and sewing inspiration! Check out Husqvarna Viking Sewing Australia's Facebook page for the announcement and a giveaway (closing early Jan 2018).